Created as a memorial to my father following his sudden death in 2011, Labello Press publishes books in traditional print only. We are committed to and passionate about this. You won’t find our titles listed with any of the usual online distributors. Handing over 60% plus isn’t our thing. We work incredibly hard to produce unique and high-quality books and as a result, they are only available from this website. Please help support our Independent efforts by purchasing one of our titles. New work coming soon. Thank you for keeping books in print. When your world frays around the edges and carefully stitched plans begin to come undone, how do you hold it all together? 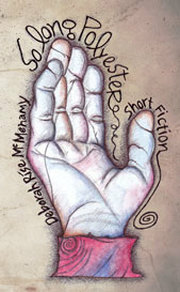 The eleven stories in Deborah Ríse McMenamy’s collection of short fiction ‘So Long Polyester’ examine the damage and hope born of loss. From the loss of innocence to ‘losing your shirt’, this elegant and at times darkly comic and disturbing debut work is populated with characters struggling to keep their sanity, their status, their relationships and lives from unravelling. In the deliciously sinister, award-winning ‘Love, Like Stew’, a woman’s ex-boyfriend pushes too far and she finds herself in a battle for oneupmanship, while in ‘Rock. Paper. Scissors.’ a prominent doctor’s indecisive wife threatens an affair forcing his hand and a mother recalls her childhood loss and the fight to free herself and family from their fanatical father in ‘The Cure’. In the title story,‘So Long Polyester’, an underachieving, dishevelled man interviews for his dream job which could lead to the greatest loss of all. Please contact us if you require more than one copy or if you would like to purchase other titles and we will adjust the overall cost of Post and Packaging. Our boldest anthology; 17 intense, diverse and exceptional stories from the winners of the 2015 Leonard A. Koval Memorial Prize. 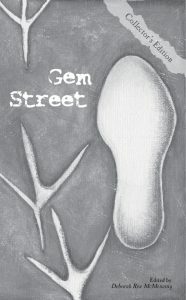 Whatever your taste in literature, ‘Gem Street: Beyond the Axis’ has a treat for everyone. From the outrageous rural politics in our winning story, ‘The Parish State’ by Will Haynes to the disturbing recollection in 2nd Place, ‘Atlas’ by Manuela Saragosa and the strength of character and voice in 3rd Place, ‘The Rules of Caketin James’ by KM Elkes, our latest creation promises to be our most delectable yet. Our 3 ‘Gem Awards’ go to the story of a lonely widow who creates company from household furniture, the wildly imaginative, ‘The friends we make’ by Christian Cook – Ruby Award and the quirky humour in Elizabeth Eber’s, ‘Trollsboro, Vermont’ – Diamond Award followed by the painfully beautiful narrative contained within Georgia Davies, ‘We See You’ – Emerald Award. Not for the faint-of-heart Isolde Wiebenga’s, ‘The Tree’ is an intense study of an abusive relationship while Louise Garcia brings us the fantastical and charming, ‘Why Tabitha Gold Won’t Eat Apples’. The impacting, ‘Sitting Ducks’ by Anita Davies, ‘Followers’ by Marc Owen Jones, ‘Distances’ by Chase White, ‘High Note’ by Paul Burns, ‘Into the Dark’ by Pauline Burgess, ‘Another Day’ by Jean Roarty, ‘His Hand/Our Salvation’ by Anne Walsh Donnelly, ‘A Vintage Year’ by Daphne Chappell and ‘Chance’ by Eileen Herbert Goodall provide plenty of intrigue and food for thought. Enjoy. 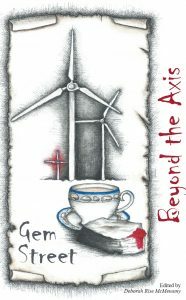 €13.95 including Free Worldwide P & P.
This year four Gem Awards have also been given to the following stories for capturing our imaginations. To new writers Will Haynes for his politically imaginative story, The People’s Republic, the Diamond Award , and to Ruth Geldard for her story about a young girl’s traumatic inaugural journey The Parrot Dress, the Sapphire Award. The Emerald Award goes to the quirky Princess and the Puppy Thief by Maggie Veness, where revenge and chiffon in the art world have never been such close allies and to Catherine McNamara’s moving Magaly Park, the Ruby Award. For his brave tackling of dark secrets in the longer form of short fiction, we congratulate P.W. Bridgman for But No, Nothing; John Murphy for Tystnaden and for satisfyingly unsettling us, we recognise Eilidh Nisbet and her story The Cauldron, a disturbing myth which has an irreversible impact on a hiker’s life. For his humourous tale of negotiations outside an American Bank in Singapore, Snake Charmed by Stephen Evans Jordan, and Paul Burns’ story of a young woman’s attempts to navigate through a world of madness and fetishes Beholden, Thomas Pitts for his rant on higher education, Typical and Stephen Dineen’s near miss in London, Sirens’ Song, and finally the poignant Father Figures by Martin Tyrrell. 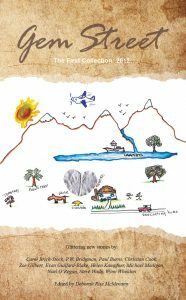 €15.95 including Free Worldwide P & P.
An eclectic and outstanding tumble of glittering new stories carefully selected from entries to our first lnternational Short Story competition. We present the Leonard A. Koval Memorial Prize winners for 2012 representing Ireland, the U.K., France, Spain, Canada, New Zealand, and the United States. €11.95 including Free Worldwide P & P.